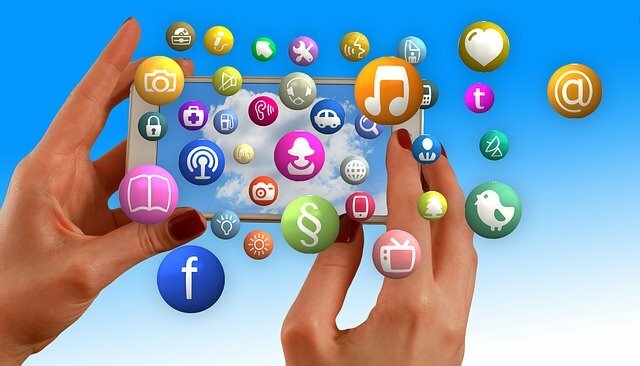 Since it has grown its popularity, there have been a long list of top social bookmarking sites out there that sifting through all them can be a tedious job and you may end up with a headache! For instance, if you are new to the idea of social bookmarking, you might experience having a hard time in choosing which social bookmarking site to use. This article aims to help internet marketers take a glimpse at 15 of the best social bookmarking sites that, despite stiff competition, these still stand out from the rest. If you want a social bookmarking site where you can browse front page stories, search for a particular story, or submit your own story, then Digg is for you. One of the more popular free social bookmarking sites, Digg will let you be in charge and in authority of what goes on the site’s front page. That is, if your story gets into the front page or in the Top News section and if it gets enough votes from the Digg community. The Digg community though, is more focused on items of the geeky technology-type. Reddit’s tag line tells it all: ‘the front page of the internet. This is a social bookmarking site that is more news oriented. Sort of a popularity contest, a story that gets more votes gets more traffic. Simply register with a username and password and you’re good to go, start submitting and sharing your sites and bookmarks. With its growing popularity as a social networking site, Twitter is one of the easiest social bookmarking sites to use. Use your 140 characters (only) wisely to broadcast the content you want. But don’t worry about having to force your URL to be shorter because you will get lots of aids from HootSuite and other similar sites. Delicious enables you to post sites interesting to you, subscribe to tags which will notify you, and make adding sites easily to your personal compilation of links with an option of categorizing them, and sharing them. It is easy to use and has grown much of its popularity after being purchased by Yahoo. Form a habit of searching the web with this site that has a mix of web surfing, networking, social bookmarking, voting and blogging in one. With this site, you are sure to find wonderful sites shared to you every single day. StumbleUpon is owned by eBay and has a user base of about 3 million, so when you use this site you are surely to send major traffic. File Uniform Resource Locators or FURL, before it became part of Diigo, offers free services to allow you to save the most important items you find on the web on your own searchable database, and when you want to find it again, you may easily do. With this site you have your own personal archive of lists where you can preserve old links and search through saved bookmarks, which can go anywhere with you. Slashdot’s famed tagline says it is a news site for nerds. Mostly used by tech savvy groups, system administrators and programmers, Slashdot is quite a powerful bookmarking site with a strong shift toward Linux and Open Source issues. Clipmarks allow you to clip the best parts of web pages such as a paragraph, sentence, image, or videos. This is great for researchers who are only after the juicy stuff, and do not mind the other parts on the page. A site acquired by MSNBC.Com and dedicated to journalism as the stories available are from established media organizations (big or small), Newsvine allows everyone to read, contribute, and discuss, with the judging done by the community. The placement of each story is made through popularity, reputation and freshness. Diigo is a useful and fun web tool used to save favorite sites, as well as put sticky notes on sites, highlight things you like, and comment on things you are interested about. Considered to be a big part of this community are educators and students. Finally, DZone is the site mostly followed by architects, senior developers, and IT managers. This social bookmarking site allows you to submit your own content as well as join in discussions or get discounts. 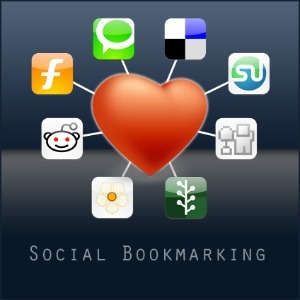 How to Submit to Social Bookmarking Sites: Manual or Automatic? The biggest problem faced by an internet marketer who uses free social bookmarking sites is the manual submission of sites or articles which often eats up a hefty amount of time. However, thanks to the availability of innovative services which now automates bookmark submission. Here are some sites that one can avail in order to make submitting bookmarks hassle- and worry-free. SocialAdr is one of the best tools you can use to help you bookmark sites! Guaranteed easy-to-use, convenient, and fully-automated, SocialAdr makes it possible to bookmark your content on other users bookmark accounts with a simple click of your mouse. You may use the free tool but you may also use the paid option which, of course, offers more feature. Another option is to use Bookmarking Demon, which is an application that automates the process of submitting links to social bookmarking sites. Aiming to save you time and energy, Bookmarking Demon allows you to bookmark multiple URLs at the same time, schedule your bookmarking jobs, and even randomize your account name and bookmark titles to keep things appear less spammy. It is also a good tool in increasing traffic and achieving a higher search engine ranking. But to avail all of these services, the Bookmarking Demon has a price tag attached to it. But we have to agree, using this tool is worth the price! Last but the least on our list, Social Marker is an automated service that allows you to submit blogs, articles, videos, or links of a site to many other social bookmarking sites. This service is free but there is also the paid automated software option. What makes Social Marker cool is its ability to help you spread a link to 50 top social bookmarking sites in less than 15 minutes! Some other services it provides are getting backlinks for your site, get your link indexed by Google, and of course, increase traffic to your website. Now that you know which can be tagged as the best social bookmarking sites, you are now a step closer to getting that big SEO boost you’ve long awaited for. Target the proper sites that allow you to work fast and accurate on bookmark submission, and watch how this top social bookmarking sites list can make an impact your presence online. About the Author: Mark Daoust is the ower of Quiet Light Brokerage, Internet business brokers for profitable, established, premium websites.